Our largest meeting room with seating for 50 people. Includes a stunning view, multiple breakout spaces and a giant 50 ft wall for posting up ideas. 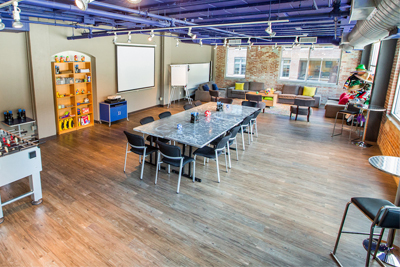 The second largest of our meeting rooms with loads of cushy furniture, views of the Arena District, bold colors, exposed brick, original art, and a foosball table. This large conference room is named for its slightly retro décor. It features loads of cushy furniture, original artwork, and a vintage, mint-condition velvet Elvis. 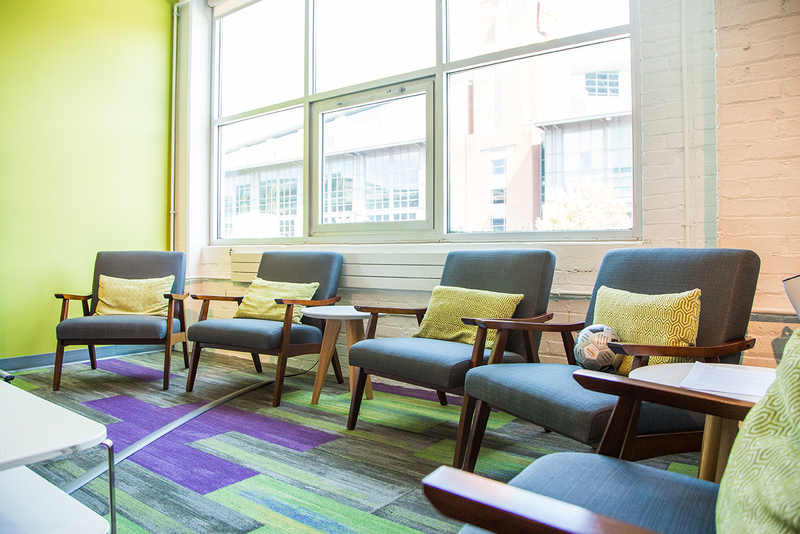 Unique features of this popular room include comfortable chairs set up for collaboration and large windows that open to let in tons of natural air and light. 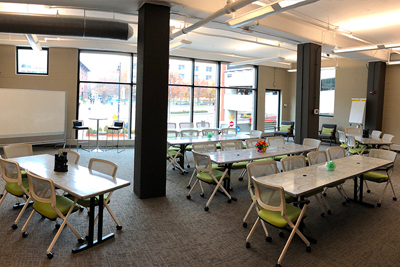 This room is our most colorful space and includes lots of comfy furniture, large windows that open, and a great view of the Nationwide Arena plaza. 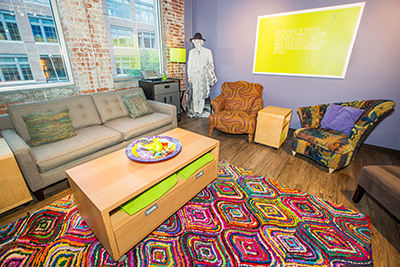 Interested in booking multiple rooms? All of our corporate meeting rooms are designed to excite each person who walks through the door. 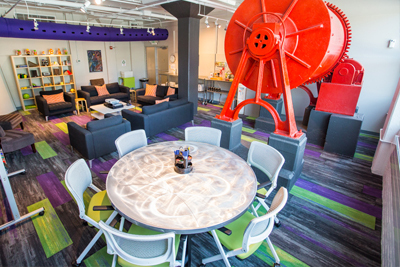 Unique elements like our inspiring décor, an extremely comfortable mix of furniture, local Columbus catering options, and our world-famous wall of candy make sure your team will NEVER be bored.